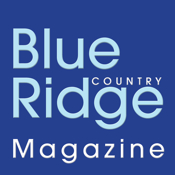 Blue Ridge Country is your source for original photography and award-winning stories about travel and lifestyles in the majestic Blue Ridge Mountains. 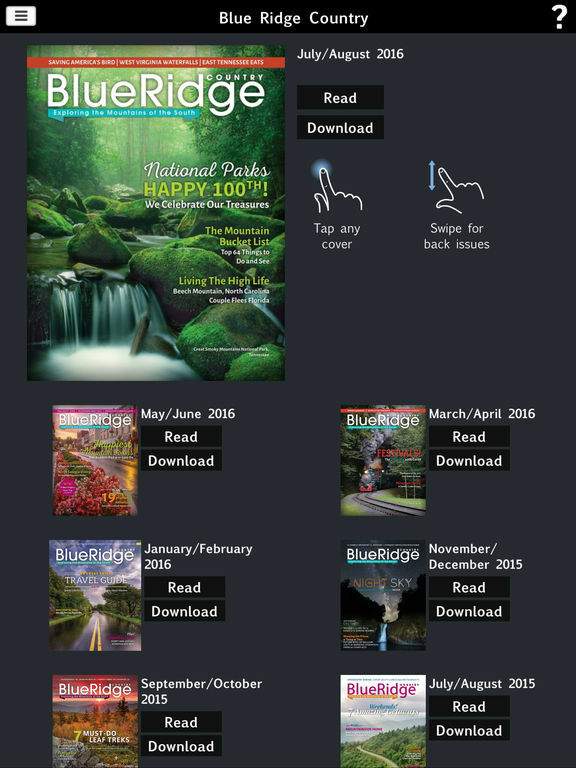 Join our 330,000+ readers as we explore the mountains, cities, towns and communities of North Carolina, Virginia, West Virginia, South Carolina, Georgia, Kentucky and Tennessee as well as the Blue Ridge Parkway. 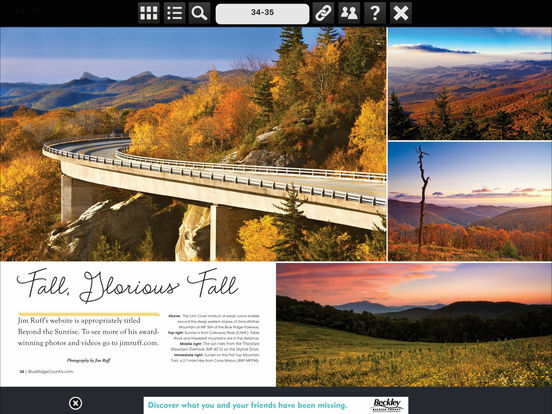 • Named "Top Magazine in the Country” by the National Federation of Press Women in 2010! 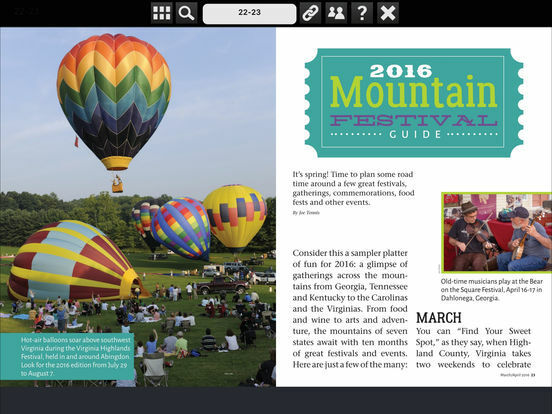 “In May, my husband and I had been trying to decide where to go for our summer vacation when I read the article entitled 'Pipestem Sojourn' in the March/April issue. The park sounded so wonderful that I immediately went to their website and was so impressed that I booked a five-night stay.” – Rhonda O. “Was reading my latest edition last night and had to add you to my friends on facebook! Great magazine, have been a reader for many years!” – Jullie F.
“I was particularly impressed with January/February's series of listings for arts and crafts shows, music venues and other festivals ('Eventful Journeys'). I have made a list of all of them near me and plan to visit as many as possible.” – Jerry B. 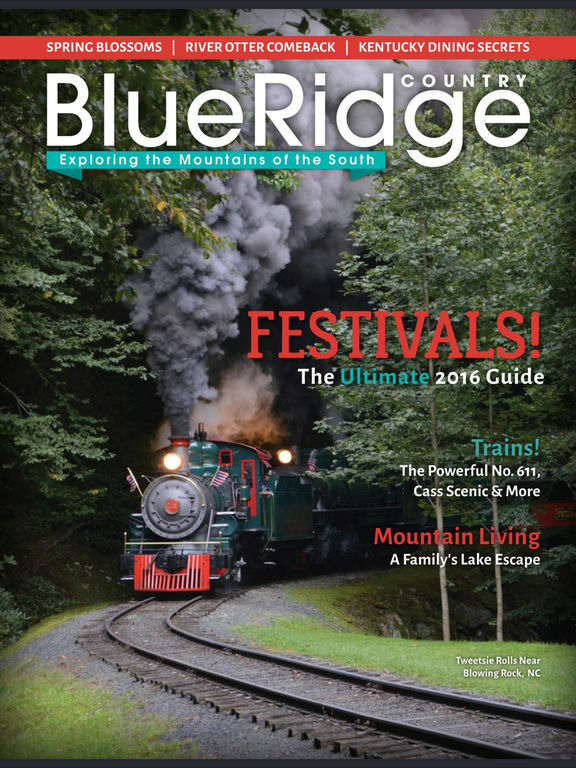 “Blue Ridge Country has inspired me even more to live out my dream of moving to the mountains in North Carolina!” – Pamela Y. Like this app? Please tell your friends, rate and review!